After losing a last-ball thriller in Vizag, India will be bracing themselves to win the second game in Bengaluru in order to square the series 1-1. After the middle-orders’ failure to capitalise, the eyes will be on the team selection for the second game, with India looking to field their best XI. Rohit Sharma: It was a forgettable outing for Rohit in Vizag, but it seems like India will continue resting Shikhar Dhawan for the game, to give more game time to the vice-captain to bring back his mojo. His outside game was always strong and few failures against the away-going deliveries can never be considered as a weakness. Bengaluru, the venue of his first ODI double, will give him a chance to redeem himself and bring his destructive self to the fore. KL Rahul: It is the quirk of fate or the stars aligning in his direction - KL Rahul is left to thank the gods for making his comeback game a successful one. Not long ago, he had struck a T20I century for India - against England in 2018 - and now he can build on the first game performance to silence the critics. Virat Kohli: Nobody understands Chinnaswamy like Virat Kohli. After 11 years of the IPL and many earth-shattering performances, Kohli has brought Chinnaswamy connection to a whole different level. Now, he is back at the venue when India are bruised and he will have a huge task of leading the team from the front if he goes for another bizarre team selection. 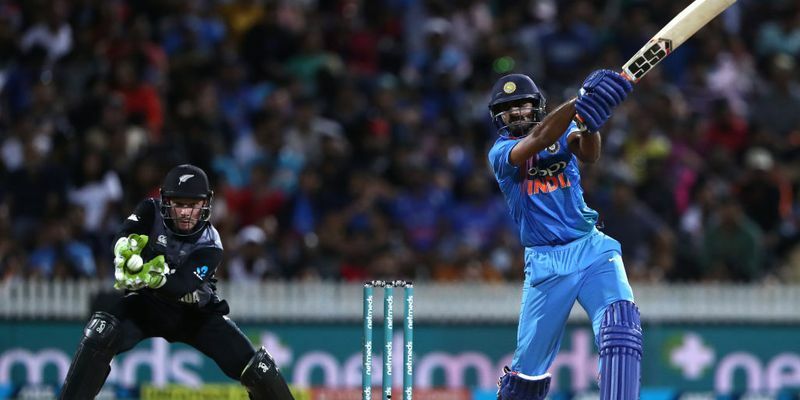 Vijay Shankar: After a classy performance Down Under, everyone and their grandmother was left wondering why Vijay Shankar couldn’t find a spot in the first home T20I. However, after India’s five “pure” bowler concept went awry, the Tamil Nadu skipper may well make his home debut in Bengaluru. MS Dhoni: Australia’s death bowling was good, but how could you explain his inability to clean the boundary despite being there for 10 overs? But that counts for little, as Glenn Maxwell said, “it was probably fair” in the context of the game. Dhoni can surely do better than that in one of the smallest venues in the world. Dinesh Karthik: It is the mercurial nature of Dinesh Karthik that has endeared himself to the IPL world and Indian team management knows that his service comes at a premium. Never the one to be trusted on to anchor the innings, DK can bring the Chinnaswamy ablaze with his power-hitting and can bridge the gap between the middle and lower order. Krunal Pandya: Most of Krunal Pandya’s failure in the T20s was down to the fact that India have failed to make the right use of him. A clean striker in the middle has been relegated to do play the second fiddle and during the bowling, he has been asked to hold up. Give him a bit more freedom and he will respond like very few can. Siddarth Kaul: After a terrible bowling display in the Vizag game, it is unlikely that India will go back to Umesh Yadav again with the series on the line. That gives Siddarth Kaul a chance to come back despite not having a good record against his name in the past matches that he had played. Jasprit Bumrah: How can you explain his genius? Personally, I can’t try giving adjectives to it. Bumrah holds the key in the powerplay, in the death overs and most interestingly, he is an invaluable option in both of it. He made a game out of nothing in Vizag and that itself talked about his strength. With Bhuvneshwar Kumar not playing in the series, he will have to take the responsibility once again. Yuzvendra Chahal: Given Kuldeep Yadav is not in the squad and Krunal Pandya finding it hard to do well in small stadiums, it will be good if Yuzvendra Chahal takes the responsibility by himself. He has a lot of experience of bowling at the venue and that can hold him in good stead in the match tomorrow. Mayank Markande: The debutant was surely nervous with the stage and it was clearly shown in his body language. With a couple of tough chances being dropped, Markande had further lost the confidence, but he didn’t show that at all. Life will not be easy for him in Bengaluru, but he will expect that he can turn it around this time.